The NBA has sanctioned the Los Angeles Clippers for multiple academic violations, including lying to DeAndre Jordan about the contents of the Mavericks’ written contract, and generally failing to teach him how to read. The penalties will keep the Clippers from the 2016 postseason. 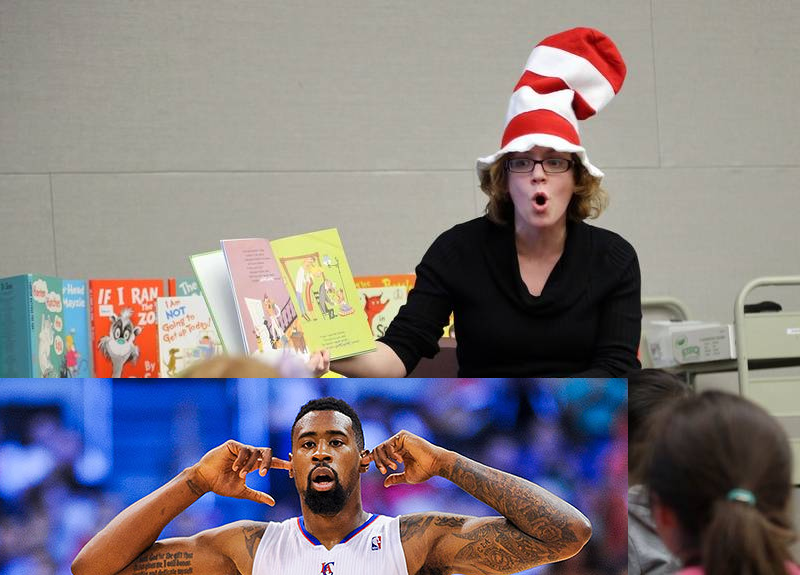 In addition, DeAndre Jordan will be forced to spend ten hours a week working on Hooked-on-Phonics. Reports indicated that DeAndre Jordan was more interested in dunking and blocking shots than working on basic fundamentals. The tone from the NBA itself was more stern. “The head basketball coach failed to promote an atmosphere of literacy within his program,” a spokesman told an anxious crowd of over 100 fully literate journalists.